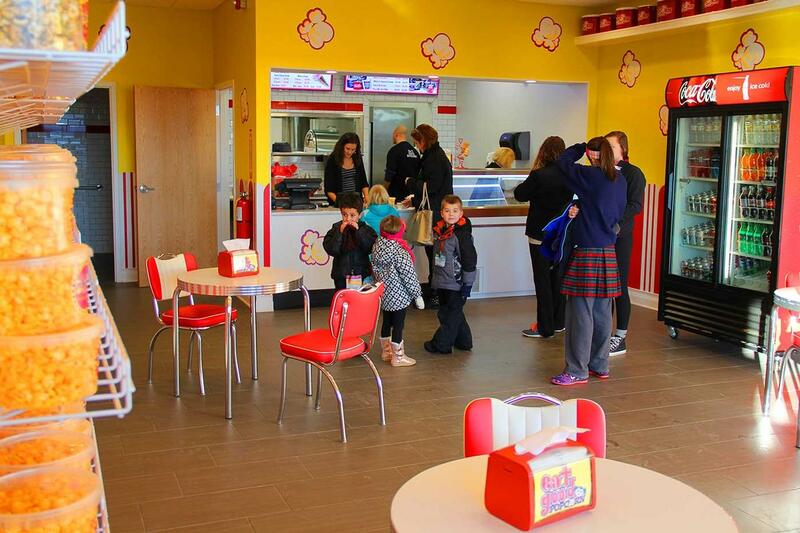 Kalli's Popcorn Shop offers gourmet popcorn, fire roasted fresh daily. Popcorn is available in several sizes from single-serving to large decorative tins. Specialty flavors include Nacho Cheese, Garlic Parmesan and Ranch. Best Sellers are Kalli Mix, Buttery White, Grist Mill, Popcorn Balls and Caramel & Glaze. Popcorn balls can be found in a variety of colors and can be custom ordered. Candy and ice cream are also available in this quaint shop. Customers can enjoy the treats surrounded by the red & white checkered floor, ornate ceiling and classic 50's music. Buttery White: This is the Popcorn that made Kalli’s Popcorn Shop Famous. It isn’t your run-of-the-mill microwave or movie theater popcorn; it’s so light & fluffy it melts in your mouth. For those of you who’ve had our Popcorn, you know what were talking about; for those of you who haven’t, you don’t know what you’re missing. Cheese: Made right here in our Shop, Kalli’s Cheese Popcorn is mistakenly referred to as Popcorn Cheese, which in actuality is probably more accurate. Our Cheese Popcorn is suited for more than your average Cheese Head, it can satiate the cheesiest cravings for an entire Cheese Body, now that’s cheesy! Caramel: We drench our Popcorn in our Homemade Caramel to form a delectable crunchy shell over our light & fluffy Famous White Popcorn, creating KCPN, better known as Kalli’s Caramel Popcorn Nirvana. Kalli's Mix: All three of Kalli’s Classic Popcorns mixed together in one tantalizing cornucopia of flavor: Light Buttery White, Rich Cheese, & Sweet Caramel. Oh yes we did! 3 Way: I want Buttery White, oh wait, the Caramel, yeah I want the Caramel it’s definitely the Cheese, I gotta get me some of that Cheese. Just order the 3 Way; all three Popcorns separated in one tin. So your original thought was right.